I take pictures of places I go to, things I see and people who are casually blocking my camera view. I’m not so fond of having taken pictures of myself. I have a friend who once asked why people don’t include themselves in the picture. I asked that question in reverse. Like music genre and appreciation, it’s all really just personal preference. Also, I still find it strange to ask a stranger to take a snap of my poses and forced smiles. I hate stolen shots but love to doing it to random people. Such foul kvetch, I know. There are exceptions, of course. I get my picture taken mostly when in group or when the location is monumental in my standards. I was inviting my mother to go travel with me and as soon as I mentioned ‘Muir Woods’, my uncle got up dropping the newspaper and immediately asked if he can come with. I have no reason to reject. Next thing I know, my grandma is going too. Might as well, the more, the merrier! The pictures here are mostly taken by my uncle, Rene. I loved his accompany as he also enjoys the outdoors and exploring places, and a shutterbug as well. Unlike me though, he takes more self-portraits than without. 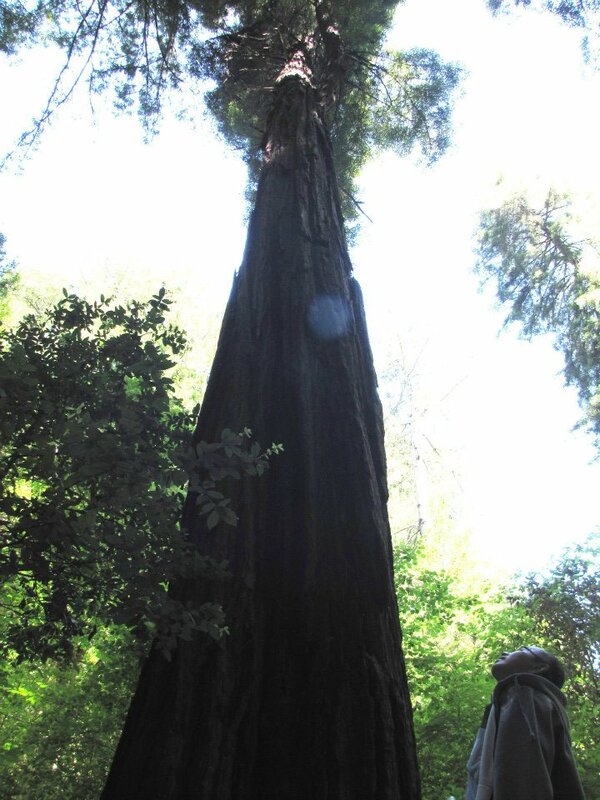 Walking under, literally, shades of tall redwoods is chin-up high spectacular. Even just the thought on the nobility that these old-growth coast redwoods are standing tall and mighty and are living large is enough satisfaction. John Muir, I bow to thee for planting something truly inspiring for us to look up to. Due to my grandma’s age and the fact that we didn’t think to bring a wheelchair, my grandma with the assistance my mother only stayed by the entrance. Even so, they highly exclaimed the fresh air, pleasant the moment I was driving through its sloping and winding roads all the way to the forest park itself. Of course, they also admire every view they’re able to see. There are facts to read along the trail. 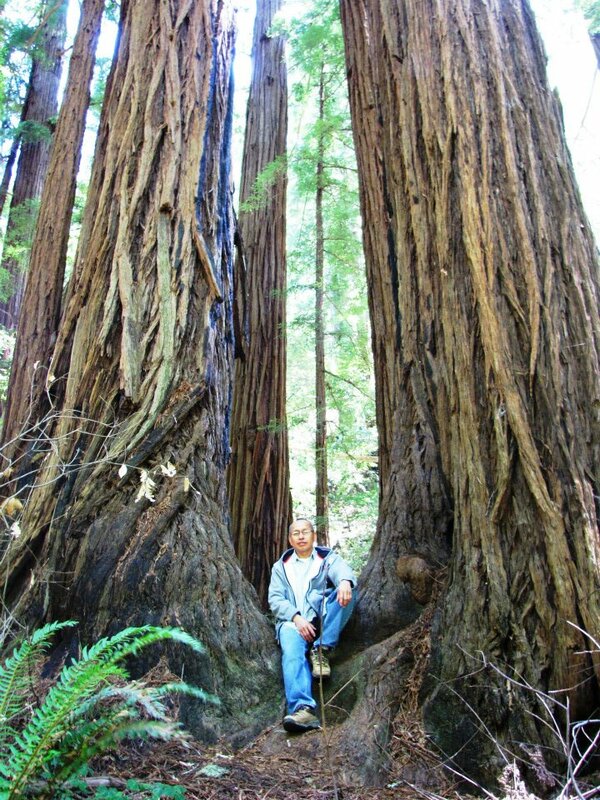 I got fascinated on the sunset years of the trees and that it takes 100, 000 compact seeds in order to grow one redwood tree. You can also purchase dollar hand-outs for other histories, facts, information of the park and how to get involved. Be sure to come early or you’ll find yourself already hiking with views of cars and cars all lined up on the side of the road before you even enter the forest park. Check about going on top of Mt. 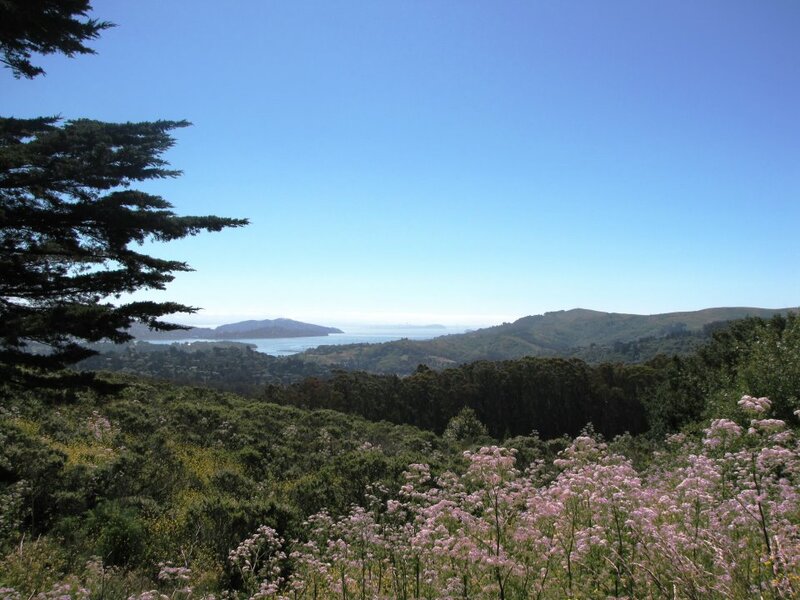 Tamalpais or going down the Muir Beach. 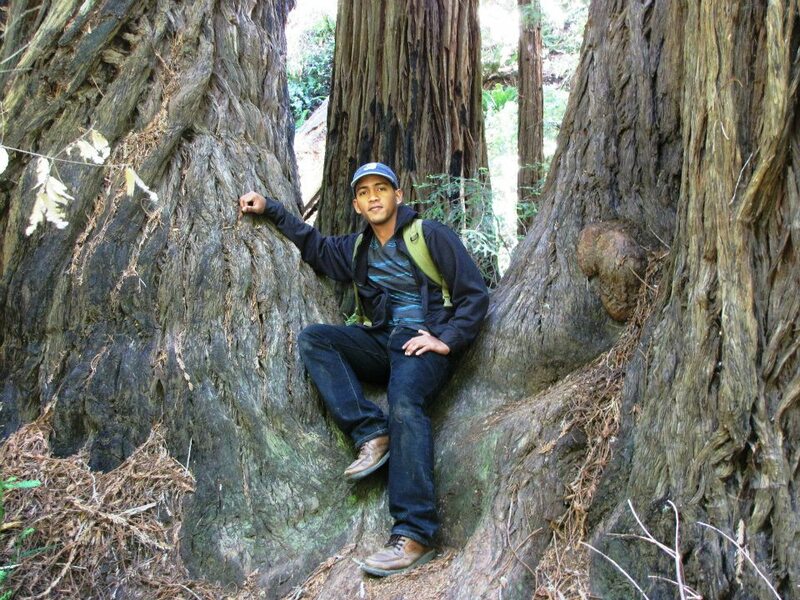 John Muir Woods is an approximately 30-minute drive from Golden Gate Bridge. Go see the movie Rise of the Apes. I promised myself that this won’t be the only time that I travel with them. This maybe a relatively new blog I follow but it didn’t take a long time for me to fully love it. One obvious reason, it’s a blog from full-time RV’ers. I envy that LuAnn & Terry have explored Yosemite and Sequoia National Park, no.1 in my bucket list. It always pains me to look at the stunning views and sights they post on their blog. Follow their wheels to 20 states (or more), get RV and travel and find pictures, interesting facts and stories from all of their great outdoor pursuits. It’s okay to be jealous of their travels as long as you, yourself, Paint Your Landscape. Loving your photos – thanks for sharing! I was just there a few weeks ago. Had my camera but ouch… I think you did better. Great place. We are right behind you my blogger friend! Yes, we are in Yosemite right now for another week, then will be headed to the San Francisco area after that, where we will be exploring Muir Woods National Monument. I really love your blog and your ability to appreciate the beauty in nature. You also have a great eye as a photographer. One other noteworthy item, when my husband and I traveled through Mexico for a year we always marveled at the multiple family generations walking arm-in-arm together, which sadly I think is something missing in this country. 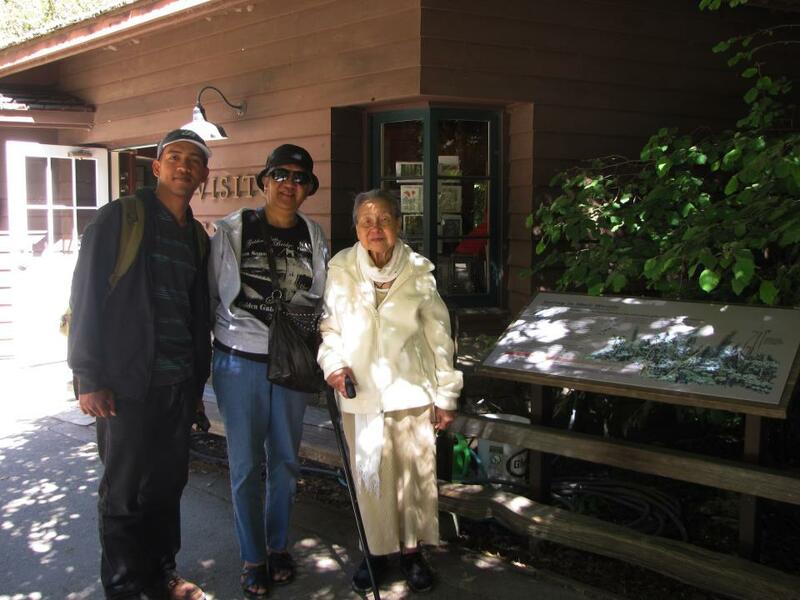 I love it that you embrace traveling with mother, grandmother, uncle, etc. Kudos to you! Thanks so much for featuring me on your blog. Thanks. I always love RV bloggers like you and Nina of Wheeling It. So much to updates and it’s exciting to see the upcoming posts. I need to visit this place as well. I was once going their and we got lost and couldn’t find it and then it was to late but ended up in some beautiful beach park/residential place that I wanted to just live their!!! There’s actually a lot of signs telling you where the location is at. But yeah, the address of the place is weird. Hehe. It’s only understable because it’s a forest. The fresh air, the natural shades. It’s definitely a place to settle. I heard it’s so expensive though. 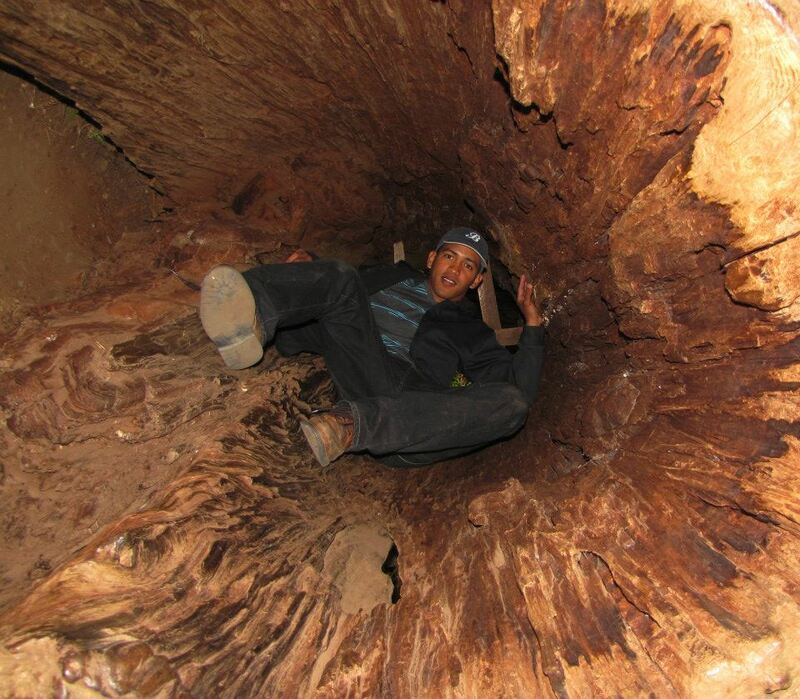 I’m inside a stump of a tree. Hehe. I love that personal pic. Sad to say this but, I grew up not too far from this place and have NEVER been there… My goodness, I am missing out. Thanks for sharing. I know, I really should… I will this summer. Thank you for sharing! 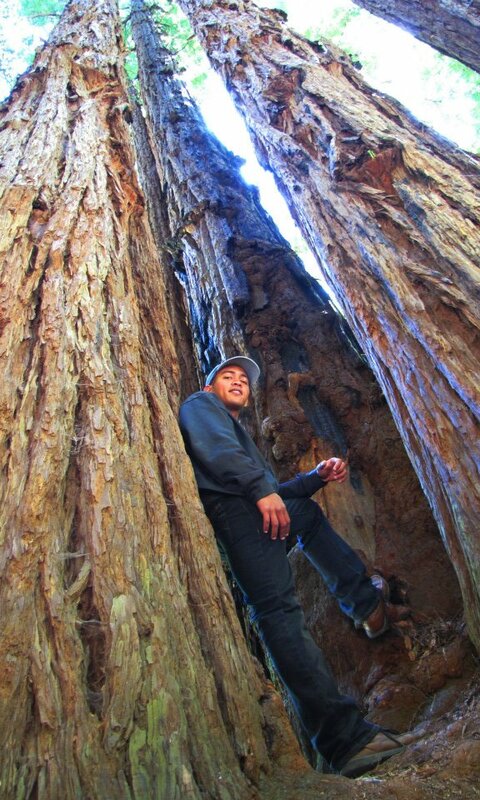 Holy-moly – those are some tall trees! 🙂 Beautiful! Just put another item on my list of places to go…..
Hi Janice, why is your blog protected. Everytime I click to it, it says I have to log in. ??? Glad to have contributed to your travel options. ■Request access to view the site. We’ll send your username to the site owner for their approval. I can only like your posts on my Blogs I Follow prompts. Bro, you inspire me to be more adventurous. I wish I did all these when I was younger. Beautiful images. Nature is truly amazing. Best wishes to you and your wonderful family. wow such a tall tree.. These photos are great, Rommel! Thanks for sharing them along with your insights. Also, thanks for stopping by Travel Oops and liking my London post! 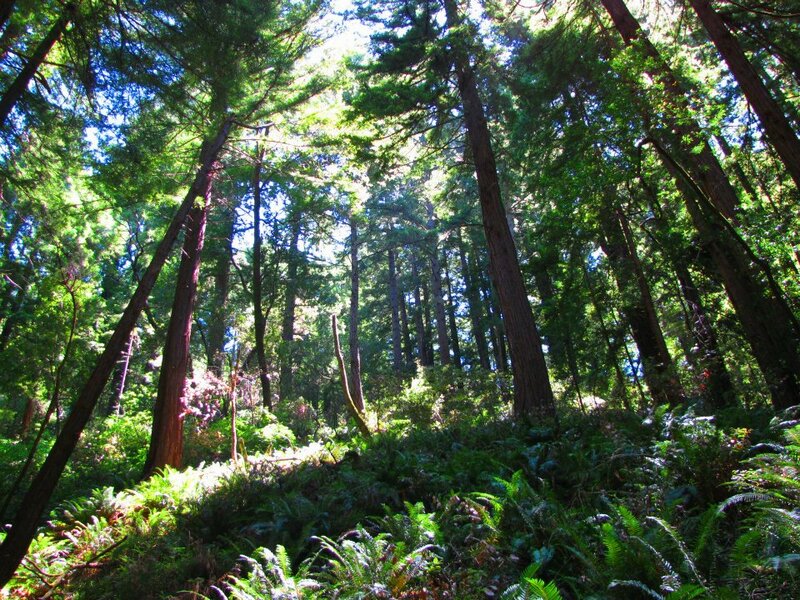 I’m glad you referenced you had photos of Muir Woods as well — they’re great!